You do know how many visitors your site gets each day? You know where they came from when they visited or clicked on your site? You know why they left and didn’t get in touch or buy from you? Uh oh! 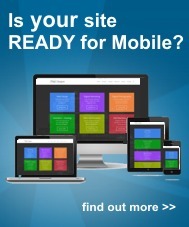 If you don’t, then what exactly is your website for? If you want results from your website and a better, clearer understanding of whats happening on your profile site, business or charity website, then you need to look at your sites statistics. We can help get your site setup in no time, with relevant charts, click through numbers, bounce rates and all the simple statistics and analytics you need to get the answers you want. It really does not have to be rocket science, just consise information and a little bit of knowledge from us and we can help you better understand what is going on, with your website. Contact us for details.